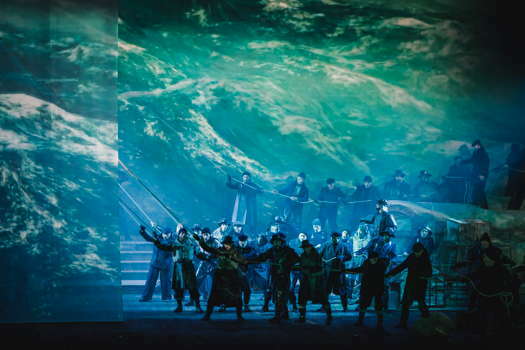 On 13 January 2019, I was in Florence's sold out Opera House for a new production of Richard Wagner's Der fliegende Holländer. 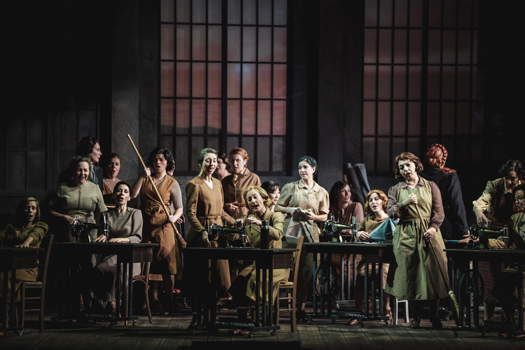 As I underlined a few years ago in reviewing a Naples production - 'Vibrant and Wild', 27 April 2013 - and more recently about a Santa Cecilia concert performance - 'Choral Interventions', 29 March 2018, this opera is quite popular in Italy where there have been more than ninety different productions; as many as seventy after 1950. The main reasons are that a) even though it is named 'a Romantic opera in three acts', it follows, by and large, standard melodramatic numbers - arias, duets, trios, concertato, major choral interventions, and b) it is less costly to stage than most Wagnerian works. In 2013, the bicentenary of Wagner's birth, four of the twelve major Italian opera houses had it in their programmes and, in addition, some twenty theatres offered special versions of the opera - a forty minute abstract for children and longer editions for teenagers and youngsters. Originally produced in Como, these productions travelled extensively to theatres in France and Germany. 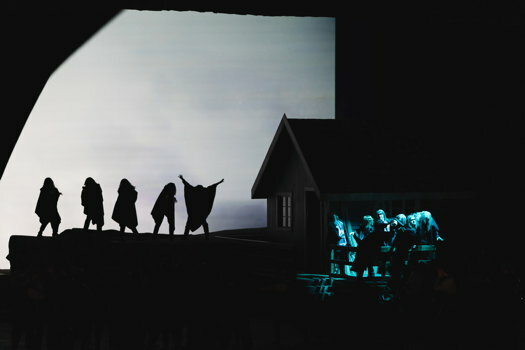 This latest production of Der fliegende Holländer is in two parts: the first encompasses Act I, while Act II and the short Act III make up the second part. I prefer an unbroken performance without intermission, as Wagner desired originally - he included orchestral interludes for the scene changes. I listened to it like this only once in 1982 at the Spoleto Festival with the late Spiros Argiris in the pit. 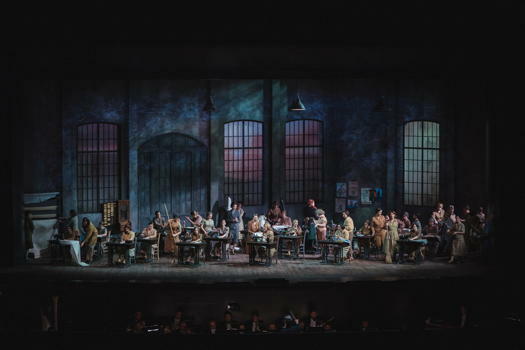 The main feature of this new production is that conductor Fabio Luisi and director Paul Curran worked hand-in-hand to unveil an important key to the opera, one often forgotten or underplayed: the tragedy of not dying or, rather, of not being able to die. This theme is central to Der fliegende Holländer, which Wagner considered his first opera, as he had repudiated the previous three, considering them as juvenile works. This theme is also central to his last opera, Parsifal, where Kundry is condemned 'to not die' because she had laughed at Christ on his way to Golgotha, and Amfortas longs for a death he cannot have until he is redeemed. This key gives a strong spiritual content to the well-known legend of the Flying Dutchman in the storms of the Nordic seas. Luisi conducted the Maggio Musicale Fiorentino Orchestra with a flair and a style that I have heard only in a celebrated Deutsche Grammophon 1998 recording with late Giuseppe Sinopoli in the pit and an 'all star' cast - Sotin, Strudel, Domingo, Seiffert and Weikl. 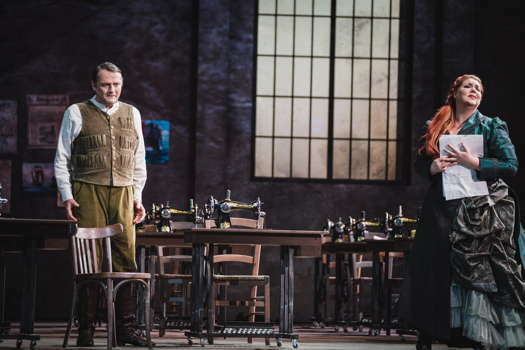 Curran placed the action, from the beginning of the twentieth century, in a simple setting - sets by Saverio Santoliquido, costumes by Gabriella Ingram - with excellent videos for the Act I and Act III special effects. The spiritual element, rather than the legend, was at the forefront, especially in the third act, with the chromatic part Wagner added in a revision much later in life and seldom underplayed by conductors. Der fliegende Holländer requires important choral interventions. Maggio Musicale Fiorentino's large chorus, led by Lorenzo Fratini, was strengthened by supplementing it with Coro Ars Lyrica from Pisa, led by Marco Bargagna. The theatre's acoustics are excellent and the choruses enveloped the audience. The cast could almost challenge that of Sinopoli's recording. Senta was Marjorie Owens, for a few years New York Metropolitan Opera's ideal soprano for Der fliegende Holländer, but seldom heard in Italy. She has a wide extension, an impressive volume, perfect phrasing and a huge acute. She received well-deserved ovations at the end of the performance; her high Cs and B naturals enthralled the audience. Her Dutchman was a solid and well-experienced Thomas Gazheli, especially impressive in his long and tormented entrance aria. A very skilled and even ironical Mikhail Petrenko was Daland. Erik was Bernhard Berchtold, a young Austrian tenor with a clear timbre, a good emission and strong volume.